Former world champion Graeme Obree believes British Cycling should persuade Rebecca Romero to return to the track as part of the team pursuit squad at the London Olympics. After seeing New Zealand break their world record the Great Britain team pursuit squad of Wendy Houvenaghel, Jo Rowsell and Lizzie Armitstead were beaten by Australia in the final at the World Championships in Copenhagen. Copenhagen was Britain’s first defeat since the event’s inclusion at the Worlds in 2008, when Romero, Hovenaghel and Rowsell won gold in Manchester. Romero, the former rower who switched to track cycling after winning a silver medal at the Athens Olympics, beat Houvenaghel in the final of the individual pursuit in Beijing two years ago. But the UCI’s decision to remove the individual pursuit from the programme for London 2012 convinced Romero she wanted to switch to the individual pursuit on the road. While the British team was in Copenhagen, Romero was finishing second in the opening Rudy Project time trial of the season, losing by more than three minutes to Sarah Storey. 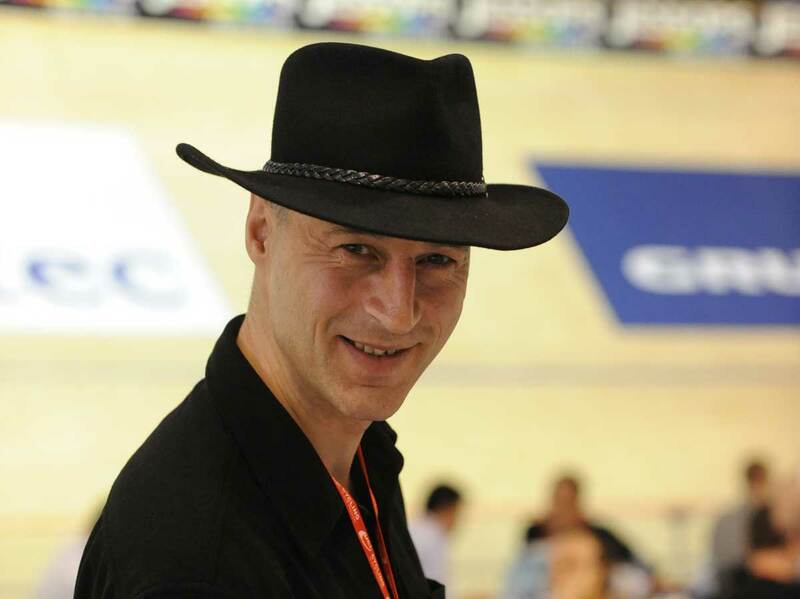 Obree, the 1993 and 1995 world pursuit champion, was in Copenhagen as part of BBC Radio’s commentary team. The 44-year-old Scot said to CW: “Maybe they will bring Romero back in? I don’t know. Will she want to? I think if it was up to me, I’d be persuading her to come into the team pursuit team. “I can see she wants to ride on the road as an individual rather than be part of a team. She’s done that as a rower and I feel she thrives as an individual. She’s very strong-minded. Of all the British team, she is the one who reminds me most of myself. I get the impression she needs more of a free reign and that maybe the tight structure doesn’t work for her. Oh aye, yes. It’s been great fun, especially when it’s live. When that red light goes on you suddenly focus. I hope I’ve been adding something to it. What have you made of the British performance at the championships? The [men’s] team pursuit was a bit of a worry, I think. Think how it looks to the Aussies. It looks like Great Britain rested riders. The young lad [Jack] Bobridge did the individual, the other lad [Cameron Meyer] did the points race. They came back in and they won. Oh it was close but they got it. We rested ours for the team pursuit. I have to say, if I was Steven Burke I’d be asking to do the individual. I’d be saying “Let me do it, there’s a championship and a medal and a jersey up for the grabs”. It’s also a chance to ride a big event and get some experience of being on that start line on your own again, it’s all down to you, and that has to be worth something doesn’t it? But I don’t know how much say they have. I don’t know if they’ve all sat down and agreed it and then you can’t really say “Hey, let me do the individual”. I suspect it doesn’t work like that. The Aussies knew what they had to do to qualify for the final, so they were always going do enough then go faster in the final. They have got four very young lads but you have to remember we have [Geraint] Thomas to come back. You’re obviously quite patriotic about it? Oh yes, it’s great to beat the rest of the world isn’t it. I just try to stay objective in the commentary box. The Aussies stepping up, the Kiwis doing well, in both men’s and women’s pursuits, that makes the Commonwealths interesting. From a sprint point of view they’re maybe seen as lower because the French and the Germans aren’t there but for the pursuits, we’ll have the three best in the world. What did you make of the omnium? I don’t know. It’s a bit difficult to work out. They’re adding the Devil for the Olympics and to me the Devil has always been a bit of a jokey event, something you sort of do at the end of a track session for a bit of fun. But you look at it, the Olympic omnium, you’ll have a 250-metre time trial, a kilometre time trial and a four-kilometre time trial. They call it a pursuit but it’s not a pursuit because you are not racing the other rider on the track like you are in a pursuit, you are racing for a time that will give you a position in the ranking. So, that’s three time trials and that’s not fun to watch. What about the risk of doing very well in the timed events and then a crash in the points or scratch could ruin it all? Doesn’t that introduce too great an element of luck? Well that’s sport isn’t it. It’s about risks. You could crash in anything, a mountain bike race, a road race. But to me, in the time they’ve run the omnium they could have run a kilometre competition and a pursuit and another event so to me it doesn’t make sense. I think we have to be more innovative in cycling. I watched the Winter Olympics and they have introduced some really dynamic events, like the ski cross and the snowboard cross. They were really exciting, great for TV. I don’t know what we can do in cycling but I think we need to be more dynamic. You’ve got rid of two events, the kilo and the pursuit, that are just pure athleticism. The best athlete on the day wins. It’s like squeeze a sponge to see how much is in there and you squeeze every drop. To me, that’s sport. It’s good that there’s equality between men and women though? Yes, it is. Now I think they should equal the events. Why do the women do less? It’s such 19th Century thinking. Men are big and powerful and strong, women are small and week. It’s nonsense. To me there’s no reason why the women shouldn’t do a four-kilometre pursuit instead of three, and a kilo instead of 500 metres. Who cares if the times are slower than the men, that’s not what they’re being judged against. I think the discipline and the distance of the events should be the same. Those distances are perfect to judge the athleticism and there’s no reason the women’s races should be shorter. You’re talking a lot of sense. Ever thought of running for UCI president?